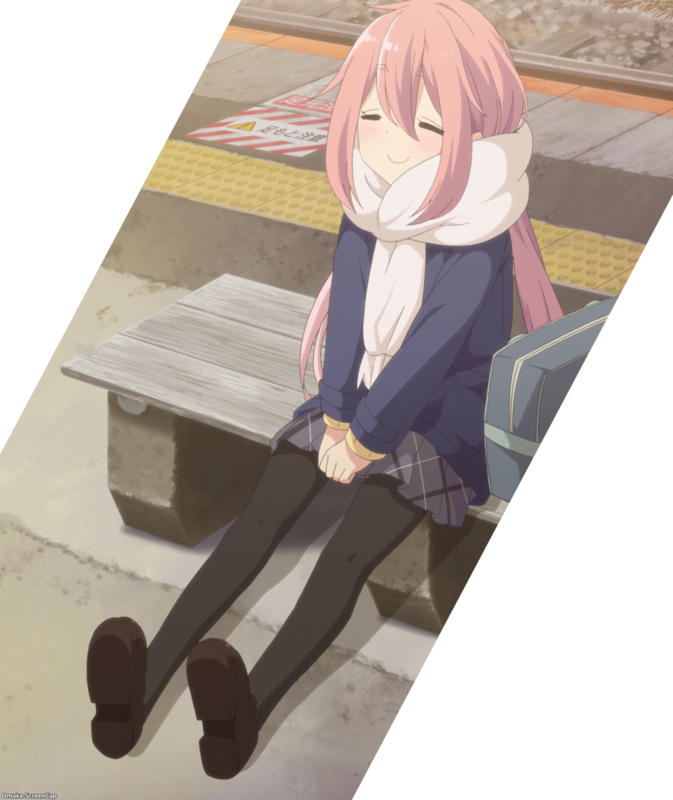 Nadeshiko is waiting for her train, but she had a long day at school being a genki girl. Pretty tiring work being genki all day. 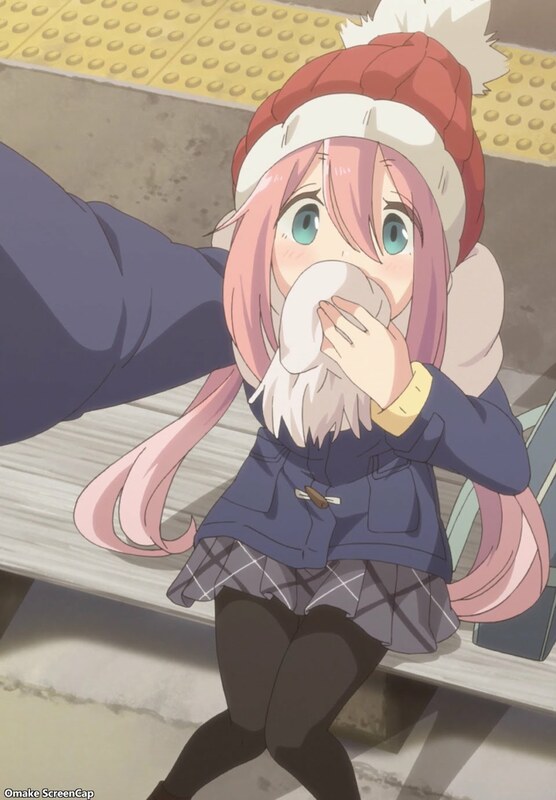 While sitting around, Nadeshiko had the idea of going camping on Christmas Eve. Santa Nadeshiko just had to make the suggestion to her club mates. As expected, drunk onee-chan became the substitute history teacher Toba-sensei at the girls' school. 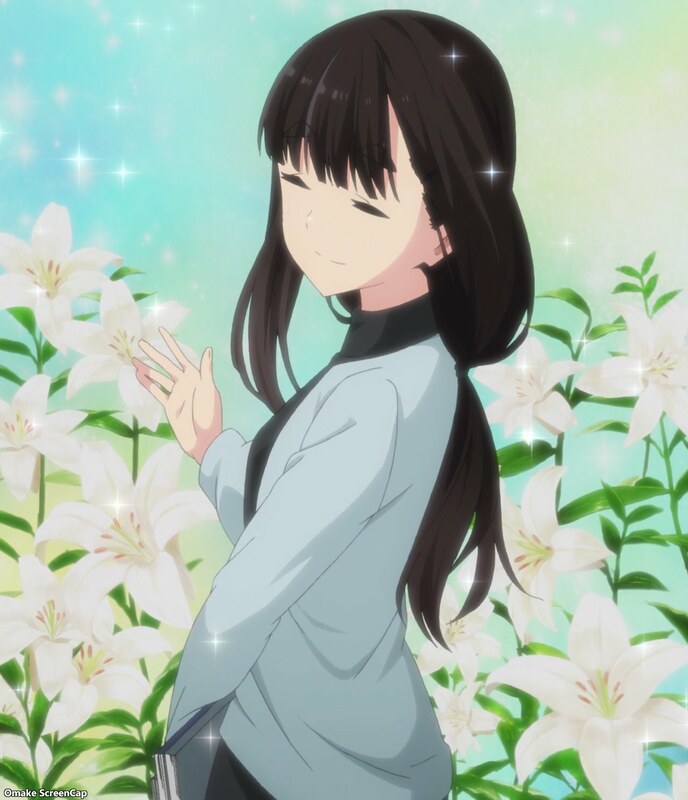 Nice lilies for all the usual expected yuri jokes. 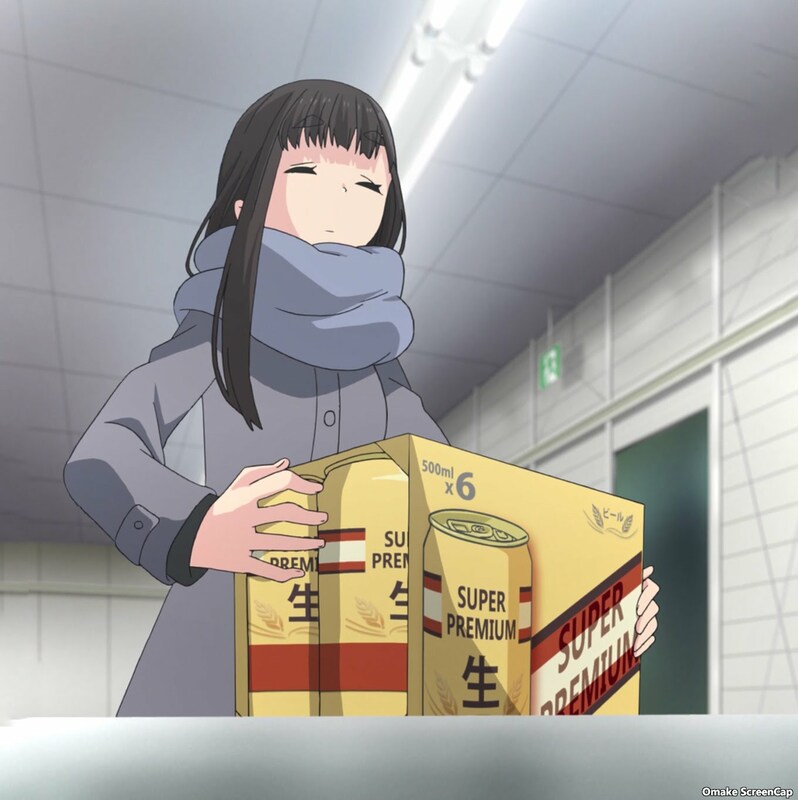 It turns out she is a known entity at the liquor store Chiaki works at, known as Miss Chug.